I started collecting books from my childhood that I remember enjoying at the time. Many of them are out of print but I can find them used online. The Fairy Rebel, Companions of Night, The Enchanter’s Glass. 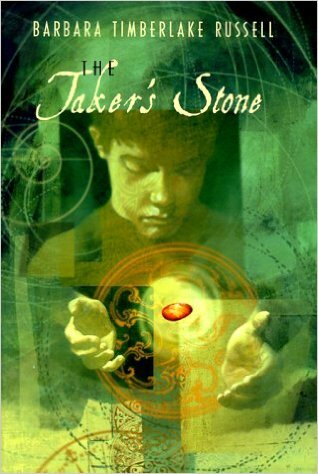 The one I’m talking about here is The Taker’s Stone by Barbara Timberlake Russell, which I brought from my hometown of Atlanta to California with me. I don’t know Barbara Auerbach from New York City Public Schools but whoa. Wow. The history of the largely white Irish is definitely not the same as Black folks. Conflating them based on anything that they they might have in common is not only ignorant but dangerous. A derailment of the Black struggle is oftentimes signified by remarks like “Maggie listens and learns but also teaches him that her people had similar struggles”. It is much more respectful to talk about what these groups have in common without diminishing the differences and intensities that make them unique. Even though I’m passionate about it, I try to avoid talking about racism on this particular blog because I know it’s a difficult topic for many people that is oftentimes passive aggressively glossed over and derailed. And I’d rather focus on what I’m writing honestly. Unfortunately for people who don’t want to hear it, race and my identity as a Black woman writer come into that. What these stories and even book descriptions might be telling children makes me worry–as a potential educator, a Black woman, an aunt, and a writer. I was horrified to learn that this book was published in 2006. It reminded me that mainstream publishers and writers are hardly qualified or dedicated to compassionately, fairly, and intelligently writing about race, especially when it comes to the reality of Black people. If I had to decide whether I wanted to buy Maggie Amerikay or put it on a reading list based off the synopsis by Auerbach, the answer is No. Do I think people shouldn’t write because I think a synopsis or their book itself has issues? Part if me thinks, YES, DONT PUT ANYTHING OUT INTO THE WORLD THAT MAKES THINGS WORSE! Another part of me says, Write and let write. It’s not like you can stop them anyway and even if you could, would you? The art cannot be separated from the artist, and the work of some writers gives me cause for concern.